I’m joining in today with Velvet Ashes in their Friday “The Grove” linkup. 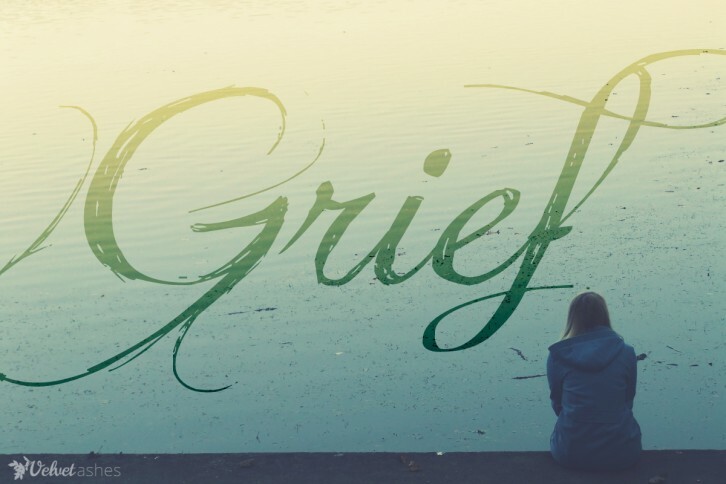 This week the topic is on what every expat knows well – GRIEF. Grief comes in various forms for the expat. Every spring we say good-bye – either we are moving or someone we know and have grown to love is moving. We say good-bye after every “home” visit – each getting a little harder as we see our grandparents, parents aging. We miss family gatherings for birthdays, Christmas, Thanksgiving, World Cup parties, or whatever…fill in the blank. For me, those have been true – but as a parent to a child with special needs I seem to grieve regularly. I don’t mean it is there every single day all the time. No, my grief hits me when I least expect it. It sometimes hits hard like a punch in the gut. It is strong enough to bring instant tears – but not strong enough to leave me in a pit of despair. I wrote a story for the anthology MONDAY COFFEE & OTHER STORIES OF MOTHERING CHILDREN WITH SPECIAL NEEDS. The section below, I feel, illustrates how grief tries to pull me down. I’m told that parenting a child with special needs stays difficult. It doesn’t just “go away.” I have found that to be true. Grief finds me at odd places. It finds me at the park where I see girls playing and laughing together while my daughter stumbles up the stairs to go down the slide. Grief finds me in the hospital holding the results from yet another developmental testing and I see she isn’t mentally where I thought she was. And Grief brings tears to my eyes when party invitations are passed out and she didn’t get one. Grief reminds me that she doesn’t have friends her age. She doesn’t seem to notice, but I do. I hurt. Through all the grief and mourning, joy does come. It always does. It comes with a kiss and a hug. Joy comes with each new word she speaks. It comes when she dresses up in her cowboy hat, boots, and comes out swinging her pretend lasso. Joy comes from watching her love life in the way I sometimes wish I could. Yes, joy does come after the mourning. I read a recent blog post from another parent of a child with special needs and she stated it, too. She is happy. She is totally fine. She doesn’t feel like she’s missing out. It’s not her dream, it’s mine. 1. Count my blessings – you know that song, “10,000 Reasons”. I made a chart on the wall – but even just saying them out loud helps. 2. Sing Louder – speaking of songs, I put on praise music and turn it up real loud and usually break out dancing. It gets all of us into giggles. 3. Remind myself that my daughter is not sad – in fact she loves life to the fullest (most of the time). Just yesterday I used this…at the water park I started to feel sad because she couldn’t run off with the others to zip down the slide, but I looked up at her jumping in her life vest laughing and splashing around. She was fine – so I would be, too. Your Turn: How has grief affected you? What has helped you through the process? Please share in the comments below. This entry was posted in Parenting, Special Needs and tagged expat, grief, special needs, tcks, The Grove, Velvet Ashes by MaDonna. Bookmark the permalink. Thank you for sharing with us on Velvet Ashes and for being an inspiring encourager!!! What a beautiful post…everything you said is so true! Thanks for the link to my post as well!!! Thanks so much for your kind words. I really enjoyed your post…I have been pushing that chair or walking with my daughter thinking those same thoughts. You inspired this posting.